Star Automations is a leading supplier of Motion control optical encoders , magnetic encoders and Resolver including incremental encoders and absolute encoders for motor feedback and positioning systems. We are equipped with all the facilities such as servo repair software, Feedback test, magnet strength test, servo load test, wave form analysis and balancing machine to carry out these services. we also have large stock of connectors, cables ,magnets, resolvers and encoders that help us to repair service motors within set time frame. a wide range of applications including actuators, servo control , motor encoders,Top drive encoder, valve transmitters, industrial printers, copiers and 3D printers to servo, Draw wire ,stepper and piezo motor feedback systems, robotic arms, Encoders for Wireline, Encoders for Drawworks, lift and elevator, factory automation and semiconductor equipment. Brand replacement or equivalent encoders by Allen bradly ,BEC, Eltra, Ideacod, Ivo, Leine & Linde, Litton, Lenord Bauer, Muirhead Vatric, Kubler, Siko, Lika, Tekel, kubler ,Fanuc, Tamagawa, W & S, Elsis, Fraba, Baumer, Gaebridge, BEI,Hohner automation, Hengstler,Nedic, Pepperl & Fuchs, Stegmann, T+R, Hubner, Vederoot, Sicod, Sony encoder, Siemens , yaskawa . Accu-coder Encoders , Allen Bradley Encoders , AMCI Resolvers ,Avtron Encoders , Balluff Encoders ,Baumer Encoders, British Encoder Company , BEI Ideacod Encoders , DRC Encoders ,EPC Encoders , Fanuc Encoder Repairs ,Gaebridge Encoder ,Heidenhain Encoders ,Hohner Encoders ,Hubner Berlin Encoders , Hengstler Encoder ,Koyo Encoders ,Kubler Encoders ,Leine & Linde Encoders ,Lenord Bauer Encoders , Litton Encoder ,IVO Encoder ,Lika Encoders ,Pepperl & Fuchs Encoders , Red Lion Encoders ,Reliance Resolvers , Renco Encoders , Sick-Stegmann Encoders , Sumtak Encoders ,Tamagawa Resolvers ,Tekel Encoders ,Turck Encoders and US Digital Encoders. We have rotary encoder ,resolver,Rotary Sensor , an incremental encoder, absolute encoder, serial encoder,Linear Scales, hall sensors and tach generators,JAQUET speed sensor and repair all types of feedback devices . we also have large stock of connectors,Cables, coupling, resolvers and encoders. Hard to find Encoders and obsolete models and Suppliers of brand replacement or equivalent encoders by BEC, Eltra, Ideacod, Ivo, Leine & Linde, Litton, Lenord Bauer, Muirhead Vatric, Kubler, Siko, Lika, Tekel, Fanuc, Tamagawa, W & S, Elsis, Fraba, Baumer, Gaebridge, BEI, Hengstler, Pepperl & Fuchs, Stegmann, T+R, Hubner, Vederoot, Sicod, Sony encoder, Siemens, yaskawa . 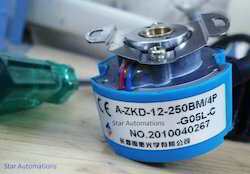 Star Automations is a leading supplier of Motion control optical encoders ,Shaft encoder ,hollow shaft encoder, magnetic encoders and Resolver including incremental encoders and absolute encoders for motor feedback and positioning systems. 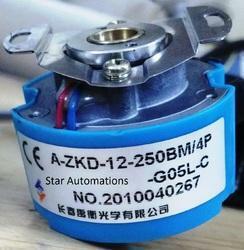 We are specialized in providing servo motor encoder repair on all types & brands of Shaft Encoder. Also offers a wide range of accessories including cables, interface connectors, encoder connectors, power connectors and alignment tools. We offer a wide range of Hollow Shaft Encoders ,serial encoder , Hollow Shaft Encoder for brushless servo motor,We have resolver, an incremental encoder, absolute encoder,Linear Scales, Sine Encoders ,hall sensors and tach generators and fanuc pulse coder . Testing servo motors and encoder on various run methods. We are equipped with all the facilities such as servo repair software, Feedback test, magnet strength test, servo load test, wave form analysis and balancing machine to carry out these services. 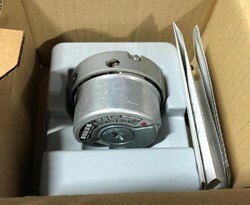 Further, we also have large stock of connectors, magnets, resolvers and encoders that help us to repair service motors within set time frame. Sick Encoders and Motor feedback systems Positioning encoders Distances, positions and angles — when precise positioning is required, an encoder is unbeatable. For distance measurement applications, the resolution of the encoder is in the micrometer range, and when making angular measurements, it is equivalent to a few thousandth degrees. Our line includes absolute, non-contact length measuring systems, wire-draw encoders and compact measuring wheel encoders.Motor feedback systems background: none repeat scroll 0% 0% transparent; }Highly precise speed and position measurement. Previously, three sensors were needed for commutation, position and speed, resulting in many interfaces. SICK's motor feedback systems offer these functions in one unit, with standardized electrical and mechanical interfaces. 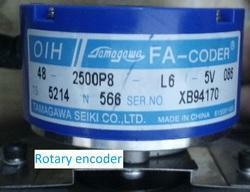 If you require further information about the sick / Stegmann encoder, industrial sensors. 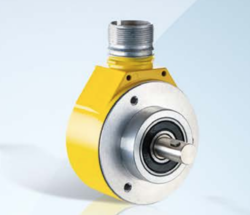 Rotary encoders provide reliable feedback for speed control, position and over speed protection for wind energy applications. Wind turbines present a unique set of challenging environmental conditions. Extreme temperatures, electrostatic discharge, vibration, and exposure to hydraulic fluids can all shorten the life and performance of wind turbine components. 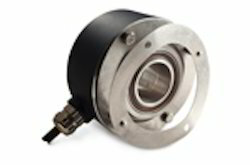 Rotary encoders are ideal for gear train and generator speed control, pitch propeller position, and yaw axis position and speed control. We have resolver, an incremental encoder, absolute encoder, serial encoder,Linear Scales, hall sensors and tach generators and repair all types of feedback devices . We have a very wide range of serial encoder ,Servo Motor Encoders ,We have resolver, an incremental encoder, absolute encoder, serial encoder,Linear Scales, Sine Encoders ,hall sensors and tach generators and fanuc pulse coder . 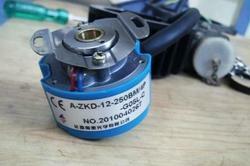 We also have large stock of connectors, magnets, resolvers and encoder coupling. Heidenhain encoder ,Linear Encoders ,Angle Encoders,Rotary Encoders ,Length Gauges and, CNC controls. ECN 1313. ECN 1325. ERN 1387.
heidenhain encoder rod 426 -ROD 1030. ROD 1080. 26. 100 to. 3600 lines. 60 to. 3600 lines. 100 to. 3600 lines. ROQ 425. ROQ 425. ROD 426. ROD 466. ROD 436. 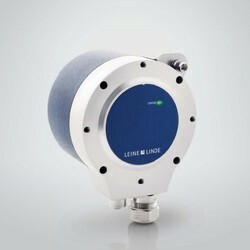 Offering Leine & Linde encoders for Marine & offshore Application. Leine & Linde encoders are extremely resilient in heavy-duty operations. 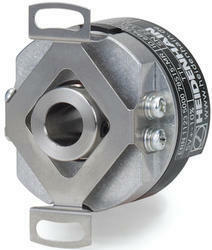 800 series ATEX/IECEx-certified encoder for use in hazardous locations.